One of my favorite blogs to read is Leah Killian's. She is not only incredibly talented but also witty and has quite a way with words. 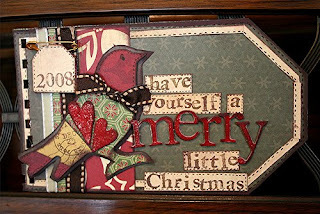 She just posted step by step instructions for creating this adorable Christmas tag album! Run over to her blog right now and see it for yourself! And Then Came The Readers!